These are the largest scale model plank houses we have completed to date. The display table is approximatel 6 feet by 7 feet and the plank house itself is 40" by 40" excluding the roof overhang. We have left the back wall off of the model so that the interior may be viewed. All of our models are crafted from reclaimed/recycled old growth redwood. This model is for sale for $6,500. 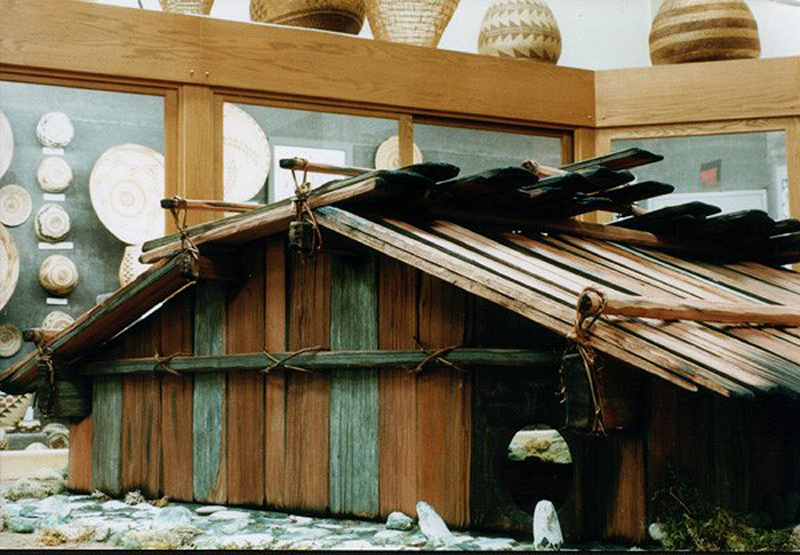 Note that this 1/6th scale model is now listed on Craigslist for $5,500 and 100% of the selling price will be donated to the Blue Creek - Ah Pah Traditional Yurok Village project. We have also listed a 1/8th scale model, a 1/15th scale model and a 1/20th scale model at similar discounts. 100% of the proceeds from these sales will also be donated. 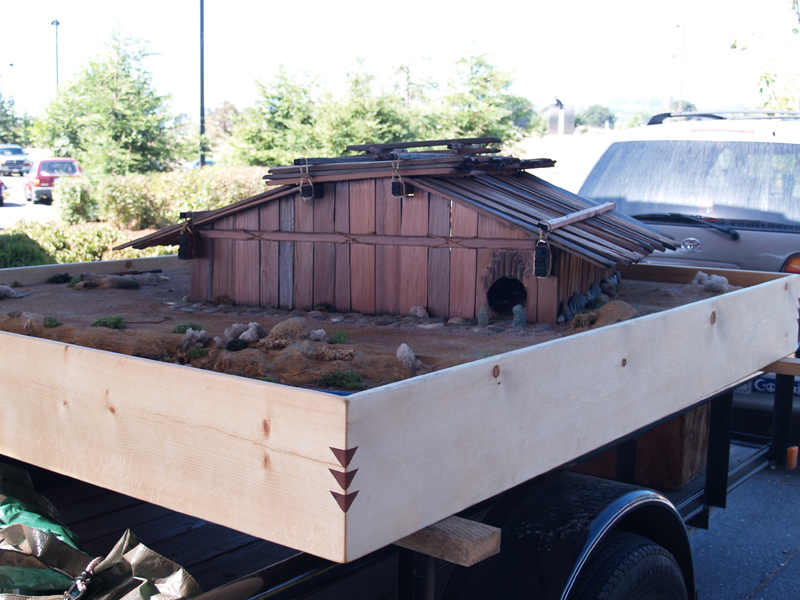 In addition, we will make scale model Yurok Plank Houses to order to your specifications. in the Nellis Hall of the Clarke Memorial Museum in Eureka, CA. Click here for construction photos of this plank house. You can also view photos of our large plank houses on display in our photo galleries. We also have created 1/8th scale and 1/20th scale plank houses. We can custom build the houses and displays to suit your needs. We look forward to your return visit! Copyright © 2003-2017 Michael Meuser, All Rights Reserved.